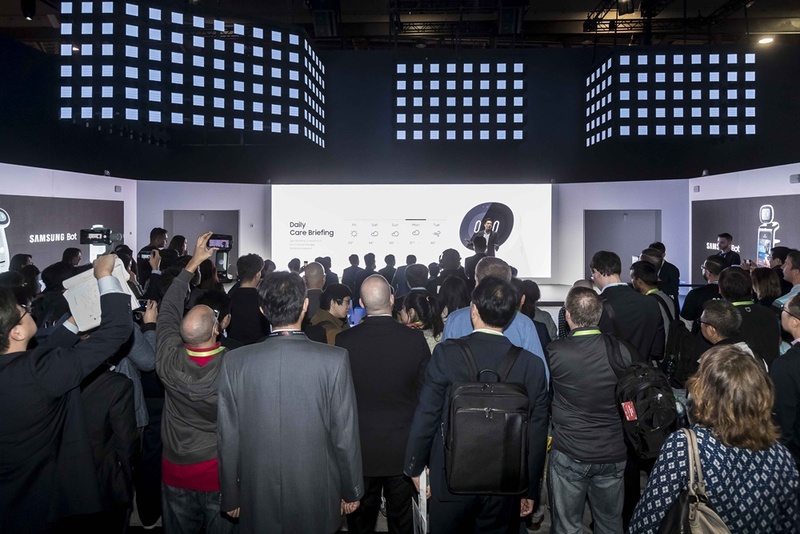 CES 2019 has officially begun, and Samsung’s booth is abuzz with people eager to get a closer look at the company’s latest groundbreaking innovations. 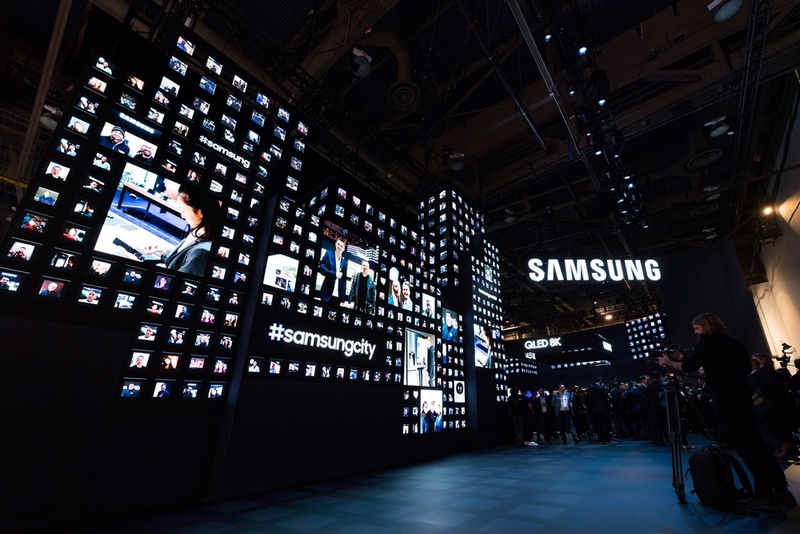 Located in the heart of the Las Vegas Convention Center, ‘Samsung City’ is a must-see site for attendees of the tech industry’s biggest event. 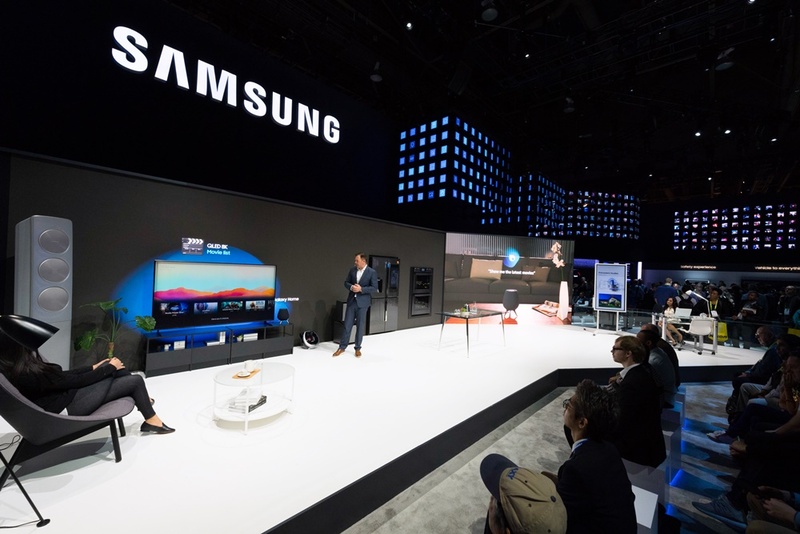 With ‘districts’ showcasing the company’s newest TVs, monitors, appliances and more, this innovative hub allows visitors to experience, firsthand, Samsung technologies that are taking AI, IoT and connectivity to the next level – and changing the way people live, work and connect. If you won’t be able to make it to CES to see the company’s innovations in person, don’t fret. Here’s a handy roundup of five key themes that sum up this year’s showcase. 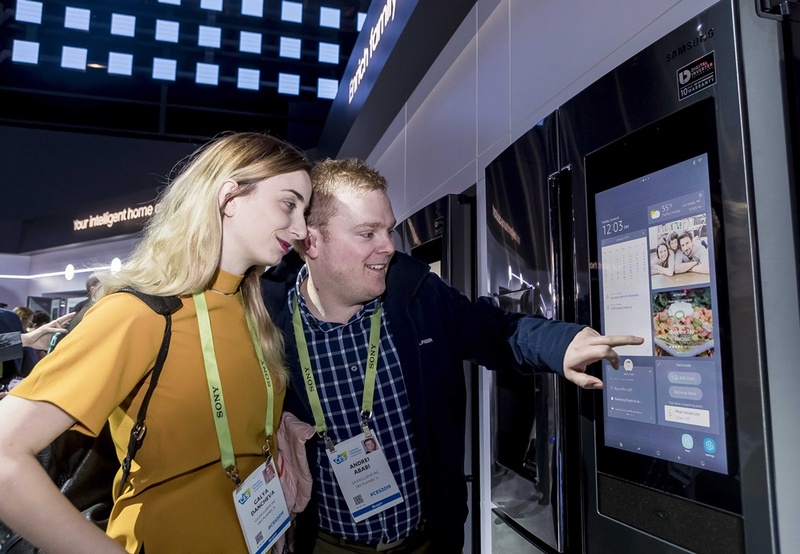 Many of the innovations on display in the booth demonstrate dynamic ways that the latest version of Samsung’s intelligent platform, Bixby, will change how people manage daily life. Housework is a breeze with Bixby-enabled appliances, which allow users to easily automate common household tasks and take the guesswork out of others. For example, when users place their clothes into Samsung’s new Air Dresser, Bixby helps the device select the optimal setting to treat them. It can also help users find the perfect cycle to finish their laundry with the new WF6300R Front Load Washer. Once the laundry load is done, Bixby will automatically set the dryer to the appropriate setting. In the kitchen, Family Hub’s Bixby integration allows users to streamline everything from meal prep to entertainment. Whether you want to preheat the oven or find a delicious new recipe, with Bixby’s voice support, all you have to do to is say the word. And thanks to its deep integration with Samsung’s 2019 QLED TVs, you can also command Bixby to tell you more about a particular show or film you’re watching, manage playback controls, and help you find more content you’ll love. 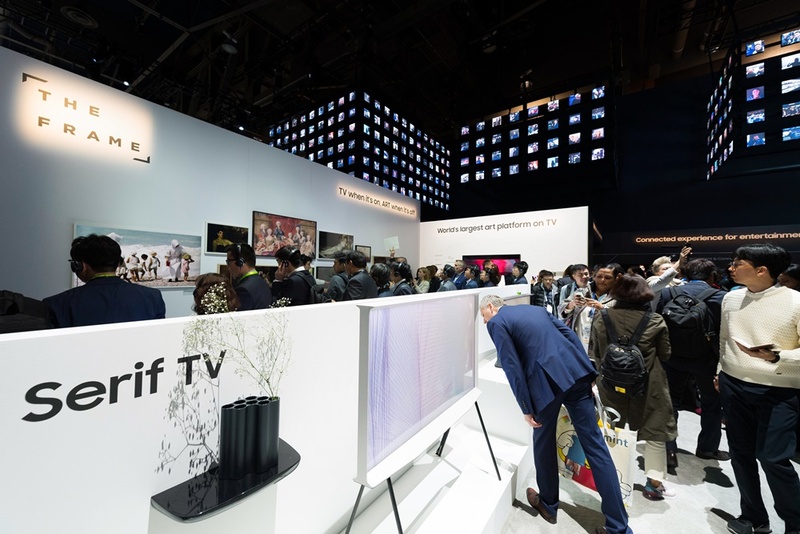 Speaking of TVs, Samsung kicked off CES 2019 with the reveals of a number of innovative displays that demonstrate how the company is leading the future of this technology – setting new standards for immersion, and making the screen ‘the center of the AI era‘. 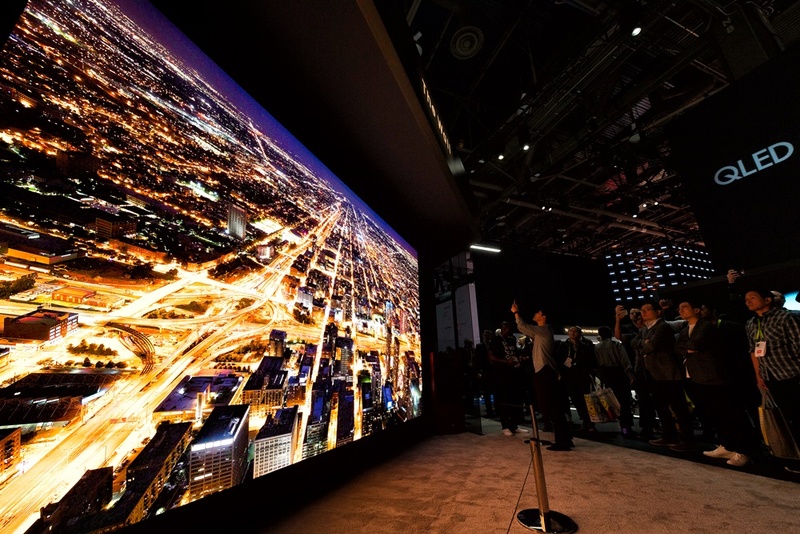 Perhaps the most eye-catching addition is the new, 219-inch, 6K version of Samsung’s modular Micro LED display, The Wall. The follow-up to last year’s debut model seamlessly blends into any space – whether it be as a 219-inch 6K screen, a 16:9, 146-inch 4K display, or a 21:9 aspect ratio wide screen. 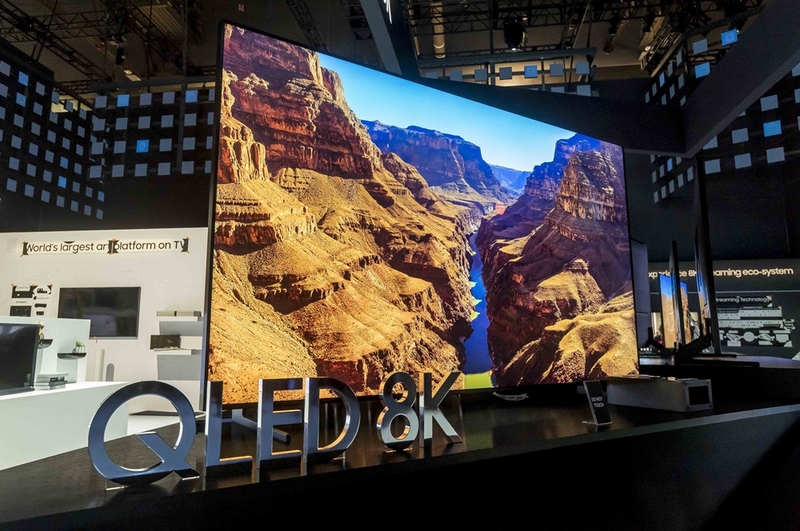 It also features a fresh new user interface, as well as Samsung’s Quantum Processor 8K chip – the industry’s first AI-powered picture-processing engine. 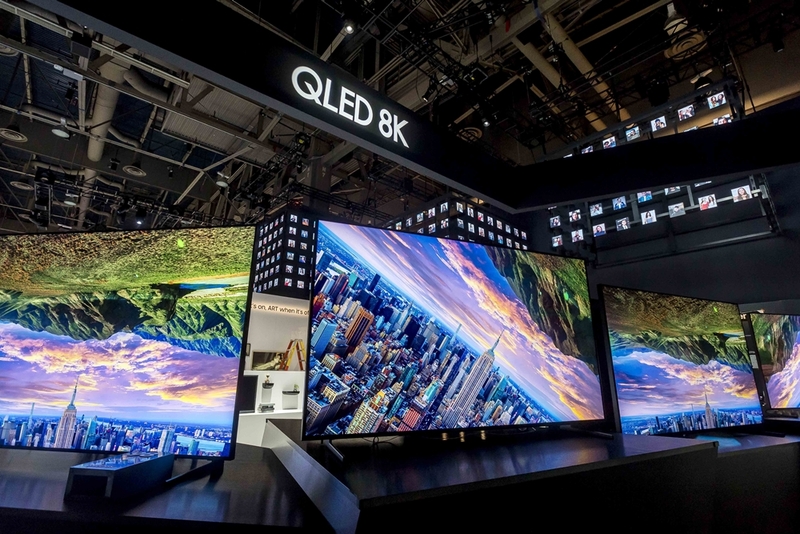 With the push of a button, visitors to the interactive exhibit can see for themselves how the revolutionary processor, which is featured throughout Samsung’s 2019 QLED 8K lineup, upscales any content – regardless of the native resolution – to near-pristine 8K quality. The combination of pristine QLED picture quality and likewise beautiful aesthetics allow Samsung’s newest lifestyle TVs, The Frame and Serif TV, to offer a TV experience unlike any other. Both feature award-winning designs that elevate the décor of any living space, as well as enhanced smart features that offer users greater control over their content. Visitors to Samsung City will find plenty of fun and excitement, especially when they see what Samsung has in store for gamers. When gaming, a monitor’s performance can mean the difference between experiencing the thrill of victory and the agony of defeat. Samsung optimized its new, 49-inch CRG9 gaming monitor with gamers’ needs in mind, combining standout specs – including HDR10 support, a peak brightness of 1,000 nits, a 120 Hz refresh rate, and a 5120 x 1440 resolution – to offer users an edge over the competition. The result of the company’s efforts is the world’s first Dual QHD super ultra-wide gaming monitor, and an official Honoree in the CES 2019 Innovation Awards’ Gaming and Computer Peripherals product categories, respectively. 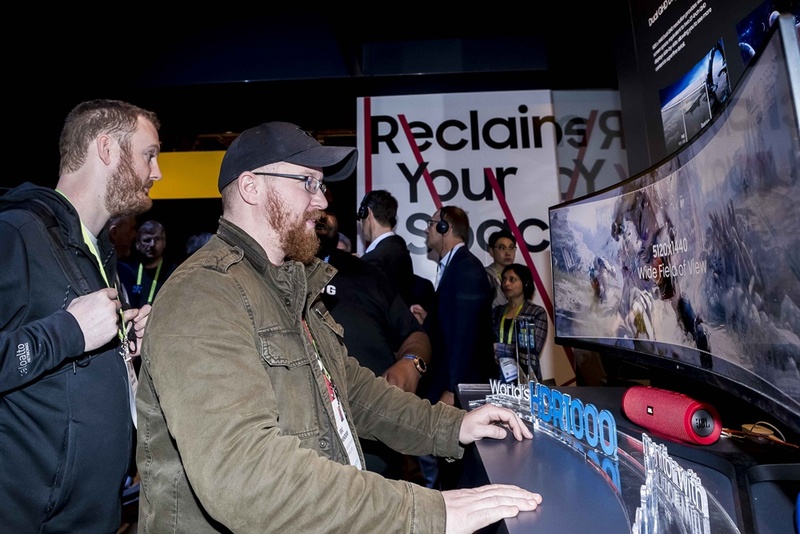 Visitors to the booth can see for themselves how the monitor’s premium performance, immersive design and comfort-enhancing features elevate the entire gaming experience. Also featured in the showcase is the latest addition to Samsung’s powerhouse lineup of gaming laptops: the new Notebook Odyssey. This year’s model is packed with enhancements that foster next-level gaming experiences, including a flawlessly smooth 144 Hz G-Sync display, an innovative Jet Blade cooling system that ensures smooth performance during heavy gameplay, and other performance-minded enhancements. 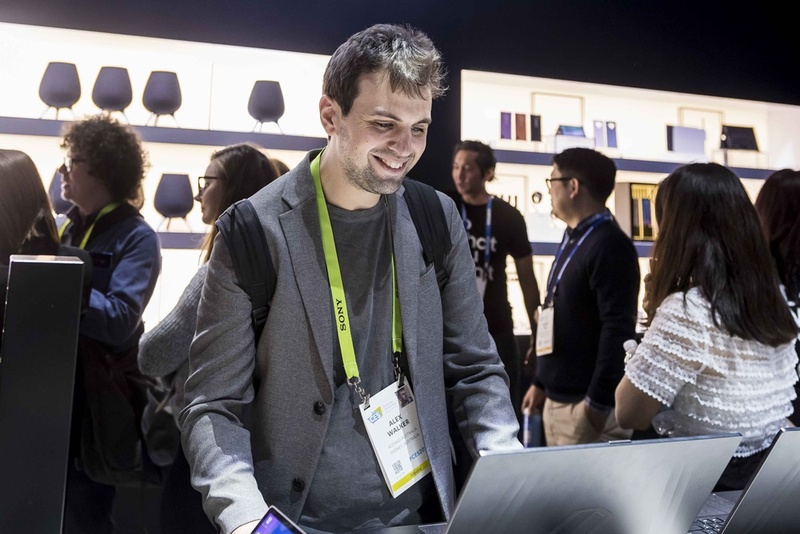 Samsung’s CES 2019 lineup demonstrates exciting ways that the company is steering the future of connected technologies. And perhaps no single exhibit encapsulates Samsung’s role as a driver of innovation quite so effectively as the demo for the latest version of its Digital Cockpit platform. 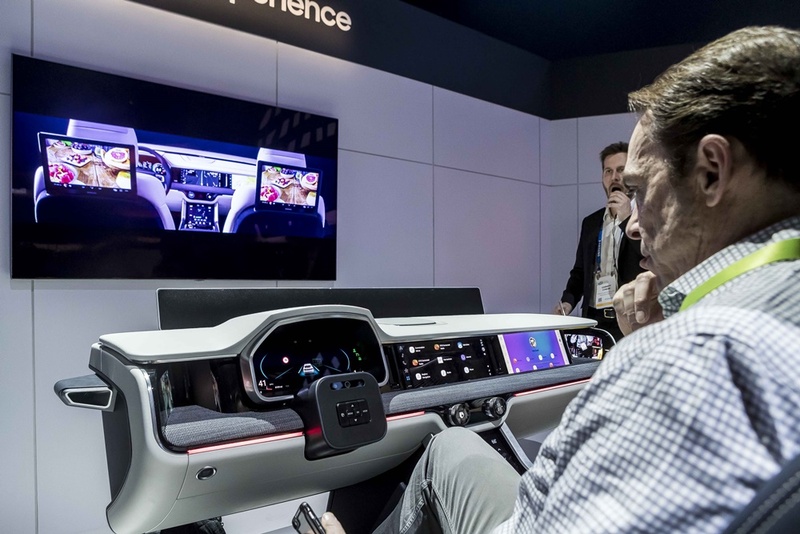 This year, Samsung is inviting CES 2019 attendees to experience for themselves how the company’s latest advancements in 5G, AI and IoT technologies have allowed it to create a connected car experience that not only adds new layers of comfort to users’ daily routines, but is also seamless, intelligent, and above all, safe. Hands-on demos illustrate how the platform’s Bixby and SmartThings support offers users seamlessly control over their home’s IoT devices when they’re in the car, in addition to enabling them to easily manage key vehicle functions from home. 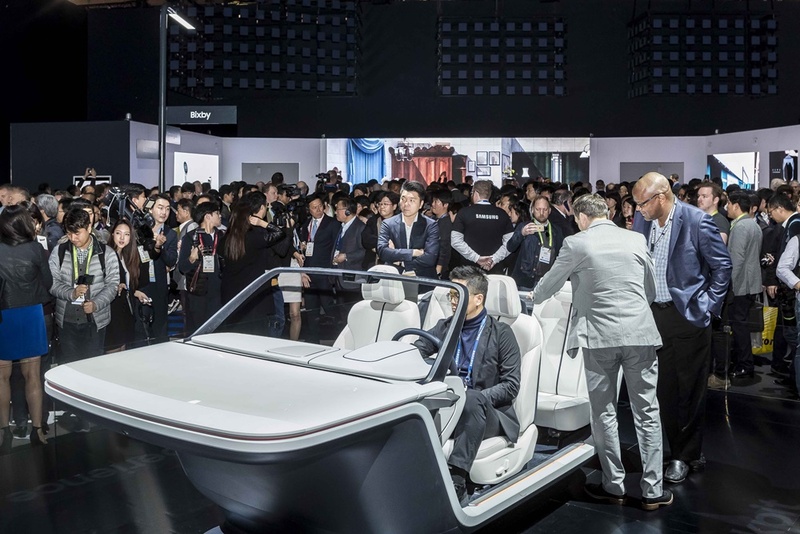 The platform also takes personalization to the next level – tailoring seat, temperature and entertainment settings to each passenger – and is compatible with a front-facing camera and driver-monitoring system that helps drivers focus on the road and drive safely. 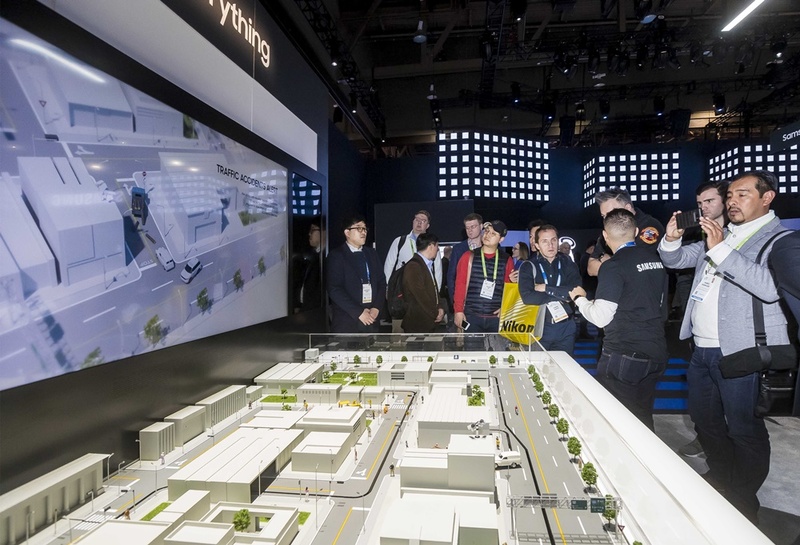 The exhibit also includes an eye-catching diorama that allows guests to see exactly how Samsung’s connected driving and C-V2X (Cellular-Vehicle to Everything) technologies will transform cities just like theirs, helping people commute more safely and efficiently. 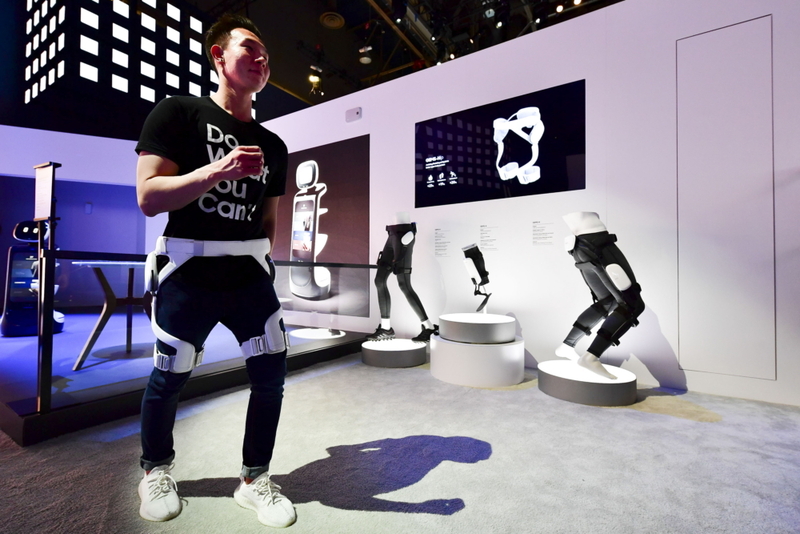 The robotic companions that Samsung is showcasing at this year’s event were created to enrich users’ lives, and help make a positive impact in the world by offering solutions for societal challenges affecting the ageing population, and even the environment. Samsung City hosts a total of four different types of robots, which are being developed for use in fields ranging from elder care to retail. Enlightening demonstrations introduce the first exciting products of the company’s ‘Samsung Bot’ robotics platform, as well as the mobility-focused Samsung GEMS. (From Left) Samsung Bot Retail, Samsung Bot Care, Samsung Bot Air. 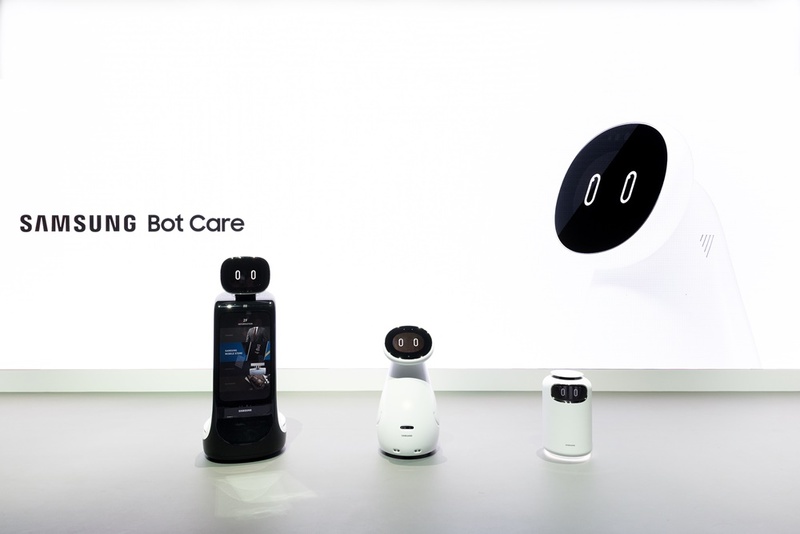 The three Samsung Bots were debuted at CES 2019. Samsung Bot Care is the healthcare-specialized robot, which can measure user’s blood pressure, heart rate, respiration and sleeping state, and is even capable of reminding them when it’s time to take their medicine. 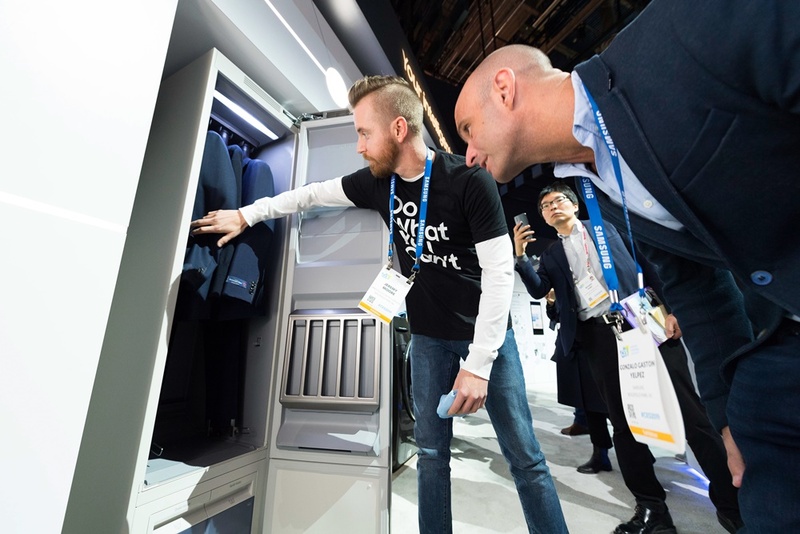 The Samsung Bot lineup also includes Samsung Bot Retail, which streamlines ordering and payments and offers a personalized retail experience and Samsung Bot Air, which uses sensors to detect the precise source of pollution and purify the air. Short for “Gait Enhancing and Motivating System,” Samsung GEMS assists users with walking, and can also help them strengthen their muscles and improve their mobility and balance. And thus concludes our roundup of Samsung’s key themes for CES 2019. If you happen to be attending this year’s event, be sure to stop by the company’s booth to experience these and other dynamic innovations for yourself. And don’t forget to stay tuned to Samsung Newsroom for more updates on the company’s latest technologies.